#1 Go online and sign up to receive a scrapbook challenge. Many of these scrapbook challenges show you a picture or give you names of colors. Then, you get to come up with the exact palette that you want to try to use. One of my favorite places to get these weekly challenges is Creative Scrappers. They have a wonderful selection. Give it a try, you won’t be disappointed. #2 Work with a scrapbook consultant. Scrapbook consultants always have the latest colors and know what the current trends are. Sometimes they have free idea books for you to take home, or even a color wheel to show you how to match colors. One of my favorite scrapbook blogs to read is that of the CEO and President of Close To My Heart, Jeanette Lynton. Every Monday Jeanette posts a blog that challenges her readers to think outside the color box. She calls it Color Me Monday and always shows you her own artwork using the CTMH colors listed. I would encourage you to check out Jeanette’s scrapbook blog. There really is some fabulous artwork on her site. #3 Sometimes the best layouts are monochromatic. Take your favorite color (mine is green), and go with it! See just how many hues of that color you can use in your scrapbook layout. I use different color inks and different color papers. I even use different textures, so that it doesn’t just look like a green glob. Depending on the color you go with, you will set a certain mood. Are your pictures fun and exciting? Then you should go with one of the warm colors like red, yellow or orange. If your pictures are from a day at the beach or camping, maybe even in the snow, then the cool color family is your best bet: blue, green or purple. 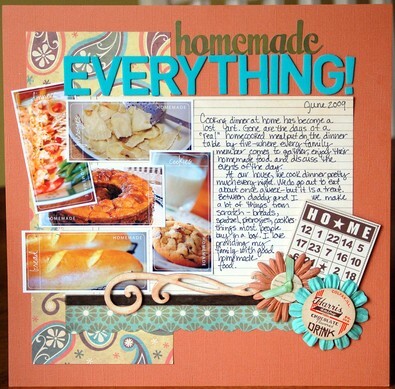 Here are some ideas showing how to scrapbook with color. #4 Look at the colors that are in your pictures. Looking at all of the photos that you aspire to use on the layout or cards, see if you notice any similar colors or colors that stand out from all the rest. For example, let that blue sky and shiny red wagon guide you. If the pictures are outdoor shots, add a neutral color to the main color scheme and that will make your other main colors POP! Look around the house for 3 of your favorite items or pieces. It can be anything that makes you feel a certain mood — maybe a vase you got at a flea market, your favorite pair of high heels and your great grandmothers quilt. Those items put together should offer you a great starting place for a color palette that will make your eyes twinkle! I’ve been an avid scrapbooker for years. 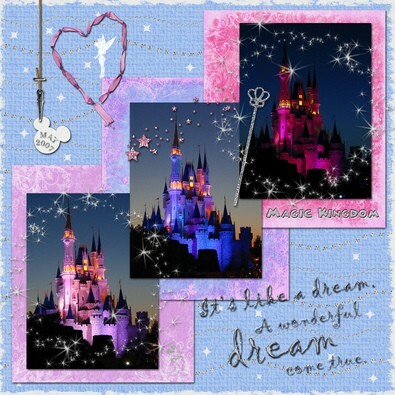 I’ve experimented with many different scrapbooking companies and have found my love with Close To My Heart. I’m a consultant and supervisor with CTMH. I’ve been cardmaking for a few years now, and I really enjoy saving money by making my own greeting cards!